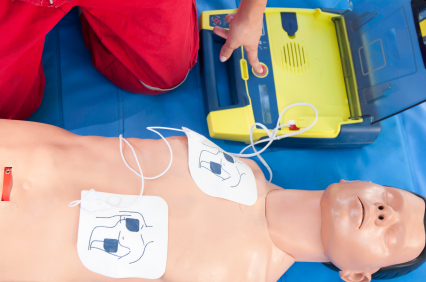 The AED course is an “In House” / on-site only course. More and more companies are investing in AEDs and they are becoming ever more present in public places with more shopping centres and leisure centres starting to have them onsite. They are a proven vital piece of equipment that can dramatically increase survival rates from cardiac arrest. Fully portable and automatic they can be used anywhere. A certificate will be issued upon successful completion of the course, and is valid for 1 year.